It's Friday!! I am so excited for this weekend for two reasons. The closest Nordstroms to me is a 45 minute drive away -- so I don't get to go that often. While this is probably a good thing for my wallet, I hate that I miss out on so many cute clothes! Tyler has an eye appointment next to the mall which means I get to shop! Sheaffer from Pinterest Told Me To showcased these MK loafers. 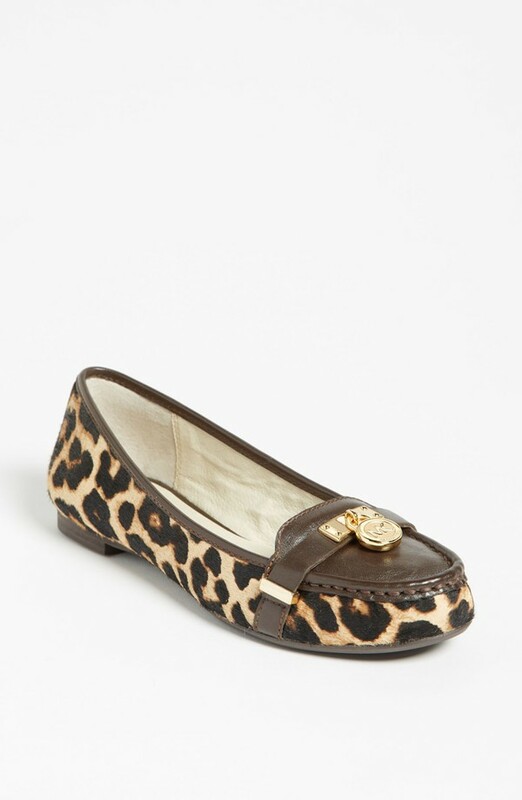 MK loafers -- I'm coming for you!! When I was getting dressed for work this morning, I wanted an outfit that would be fun in case Tyler and I decided to go to a happy hour or something after work. I am a big fan of skirts for the office place. Believe me when I say pencil skirts are not the only work appropriate skirt! 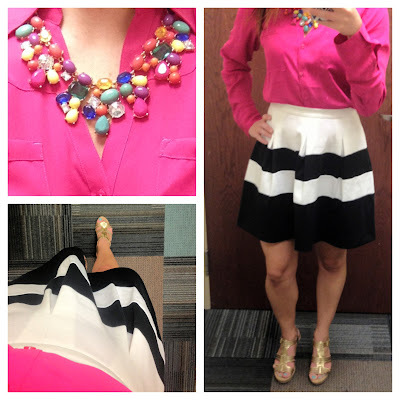 This skater skirt from Express is a great option for work. I love it because it is long enough for work and the shape of it provides movement and volume! I think it is professional, yet fun enough to wear out on the weekends! Thank you for stopping by my blog and the sweet comment!I love the loafers! I'm following you on Bloglovin and Goggle now. Oh my you're so lucky! Love Michael Buble so much- his voice is so perfect and dreamy! Your skirt is the right amount of fun and chic- love it! Love your b&w skirt :) Have fun at the concert and nordstrom's ! That is a great skirt! Express huh I will have to check this out! Loving that black and white skirt! Super cute! Love it paired with the pink top. I have a similar skirt and I love wearing it as well. I Love this outfit, You look great! I like your blog, let me know if you want to follow each other. Have a sweet day!